Mommy Ginger - Page 155 of 156 - Let's talk about Business, Beauty and Babies! Just like any new parent, we wanted to have everything ready when the baby comes, Ej and I decided to have our baby listed already in different baby registries. We had baby Zeeka registered with Baby & Co. and Rustans. Last December, I also read the blog entry of my sister-in-law, Neva from ManilaMommy.com on Baby GAP Baby Registry. I wanted to try it out so we went to the Megamall branch of Baby GAP. When we got there, I approached one of the ladies there. She asked me to wait for a while. I think they were having a SALE, so it took a few minutes before she returned with the form. I filled out the form and then the lady asked me to choose 30 items. I only got to choose 18 items, as my preference were those with sizes from 3-12 months. The lady got the items and then encoded it. It took a while though, since I think the girl we were talking to was new. She also gave me a list of the items that I chose (although the list that I got was handwritten, not like the one shown in ManilaMommy’s blog, which was typewritten). She then gave this bag. It contained the freebie, which was a canvas diaper bag and the 18 invites that I can give out to family and friends. What a colorful shopping bag! The cute and nice diaper bag from GAP. The invites that you can give your family and friends. I’m really excited on receiving the things that I chose from Baby GAP. They had great and fashionable items for a baby girl. I can’t wait to show you some of the items. Hope people get baby Zeeka something from the GAP. Mommy Angelica is mom to baby Kiel, who is 1 year old this January. Angelica always wanted to start a business, but never knew what kind she wanted to create and build. “I didn’t really want to be an employee forever, if you get what I mean..” Angelica says. At that time, Angelica was a Landscape Architect who used to work for an outsourcing company for an international firm. When she and her husband decided that she’d be a full-time housewife (to breast feed and be a hands-on parent), she had it in the back of her mind that she also wanted to be a WAHM someday. This was to still be able to help her husband earn for our family. Putting up an online shop is one thing she was set to do, aside from her job as a virtual assistant. Here is my interview with Mommy Angelica. Ginger: Hi Angelica! First of all, can you tell us more about your business? What is it about and how long have you been in business? Angelica: The store’s tagline: Mommy-picked, one-of-a-kind baby/kids hats, headbands, and hair accessories, I think briefly describes what the brand/business is all about. Honeybaby is an online boutique of various toppers, from the quirkiest to the most adorable, well, at least I’d like to think so. I just launched my shop June of 2012, so it’s fairly new. So I still consider myself a newbie in the online business. I get my products from different suppliers/manufacturers both locally and abroad. I am still in the stage of trying out different products, checking and comparing which has the best quality and what the consumers are most fond of. And so I am constantly on the lookout for other adorable baby hats and headbands that I could add to my selection. Ginger: Who do your think your target market is? Angelica: Modern-day (quirky) parents like my husband and I, who are fond of trying out new things for their little ones, especially if it adds to their “cuteness” factor (haha). Ginger: It’s quite and interesting concept. How did you come up with this idea? Angelica: It was actually my husband who thought of the idea. It started when we had a photoshoot with our baby, and the studio had a cute bear hat that we (secretly) wanted for ourselves (hihi), because it was so cute! I tried looking for hats similar to the studio props, but there were none available locally. There were fancy crochet hats online, but just as I was about to order, hubby said why not try selling them here and be the one to offer them locally? I think it was just him thinking out loud, but it sounded like a bright idea back then. And it clicked, thankfully! 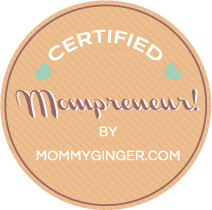 Ginger: I’m sure that you encountered some obstacles along the way when you decided to pursue becoming a momtrepreneur. What are these? • Capital. 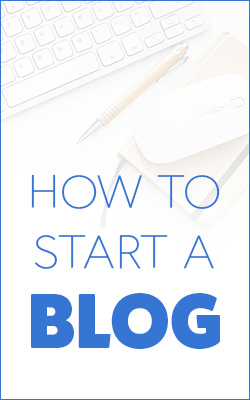 First off, you need money to start a business. Since I was a fulltime mom (who recently quit her office job), I had to ask my husband if he could “invest” in my business. Good thing, he’s very supportive. • Marketing. Since the product is “new”, most parents would think twice (or many more times) before they’d buy a hat! I must admit, it’s quite a hard sell, and I have to be extra “convincing” how I present/market my products, especially at bazaars! You have to be (extra) active in Social Media Marketing (SMM) just to get the word out. Getting referrals from happy customers is always a joy. I also got to make friends with mommy bloggers, photographers, and some of my customers. • Last but definitely not least: Juggling motherhood and business. I have been an “independent” mommy ever since, and by that I mean, I have no yaya at all since I gave birth. But that’s a different story… I have had my crazy days when my time and attention is split between the business and taking care of my baby, breastfeeding to boot! But along the way, I’ve learned some “tricks” and developed an ideal routine..and it’s still a learning process, especially now that my son is almost a toddler. Ginger: What is your long term dream for Honeybaby? Angelica: I plan to design my own hats. I’m actually looking for local manufacturers/suppliers, because I want to support our local craftsmen. I also want to see my products in baby stores 🙂 This is why I started my online shop in the first place, because no local stores retailed quirky hats. • Passion and Perseverance. I think these go as a pair. Any business needs the passion to start it and perseverance to keep it going! • Creativity. If you plan to be an online seller like me, build an eye-catching website that is user-friendly. My husband and I conceptualized and did the site ourselves. Think of a catchy phrase or tagline that is true to your brand, and a simple but memorable Shop Logo to go along with it. Be creative in all your marketing strategies, like host giveaways or offer something new. • Optimism. You always have to think positive however bad a situation may be. Like, if you didn’t make a sale this week, if packages get delayed etc. Just breathe, and don’t let the stress get to you. Like the saying goes, “Keep calm and carry on”. Before you know it, you’l be busy processing orders the following week. Angelica: Always have time for your family. Yes, keeping an eye on the business is important but family still comes first. Besides, you also need a break! Remember that you are first and foremost a wife and a mother, it is your number one responsibility. Don’t loose it! You can never escape persistent customers, however annoying they can be sometimes. Be very patient with them, after all, you’re trying to please them. It’s not just about the sale, but about making (and keeping) connections. A good feedback from your customers is always very helpful. Ginger: Thank you so much, Angelica! We learned so much about you and your business today. I know a lot of moms learned and were inspired by your story. It was 2:00 pm. I was sitting at the couch in the loft area of my in-laws’ house, when I felt my heart palpitate. I couldn’t breathe. I tried twisting my body, so that I was leaning on my left side, but still. I couldn’t breathe. I asked my nephew, DW, to call “Tito EJ” in the other room, but he was busy playing that I don’t think he really listened to me. A few minutes later, Ej joined me in the couch, and I told him that I wasn’t feeling well. We both entered the room to lie down. It was then that I got the phone call from my sister that you were rushed to Vets in Practice and you were in critical condition. I just knew that something was truly wrong. The drive from Quezon City to the vet seemed so long. I felt numb. All I could remember were the shadows and patches of light from outside the window. We were still in the QC area when my sister texted me that you were gone. She texted (as they were already in Vets in Practice ahead of us), “manang, andito na kami. wala na talaga si Collins.” (We are here aleady. Collins is really gone.) To that, I replied “:'(” I didn’t know what to text back. I felt tears rolling down my eyes. The ride home was a long one — a long one where I could really think the times you were there for me. Collins, what a cute face! My memories of you started when I got you when you were just barely 2 years old. I was so happy to see a blue grayish pitbull like you. As I clearly remember, you were tied to a steel pole, during the time we visited you and took you home. You were imported from the States by our friend Rommel from a guy named Ray Certified in the United States. I bought you from him. I was so proud of you! You were my first imported dog. I remember you, being so cute and cuddly! You looked like a polar bear (people still say that you do). I remember that you had many “firsts”. You were the first Pitbull that was micro chipped. You were also the first Pitbull Champ in a joint dog show of two mainstream pitbull clubs, NPTC and PPC, during that time. You were the first pitbull icon used by NPTC in their membership card. But aside from all of these achievements, you were also the first dog to be allowed by mommy to stay inside the house. You were called “manong” by us, since you were the first male dog to be wholeheartedly embraced to be part of our family. You were our little brother. You had so much love to give, despite your fierce barks to strangers. I remember the times when I would sit beside you on our dining area floor, while crying, during my younger years. You seemed to understand me. You listened and placed your head on my lap each time. You allowed me to cry it all out until I had no more tears. I will never forget those times. Thank you. Until your last months and days, you thought about our family. You made us all proud as you stood in front of the camera for Good Dog Magazine. I know that you were tired, but you continued on and gave us your best smile and pose. Thank you for making us proud. As I watched you twitch continuously yesterday after an awful seizure, I prayed that you would get well, and get well fast. I couldn’t bare the thought of you suffering anymore. Then the vet came to the house and everything seemed alright. We were all optimistic that you would get better. I was shocked to receive a text from Mom this morning that you had gone into a coma. I was still hopeful that you would slip out of it in the afternoon, but I guess, you were thinking about us again. You didn’t want us to suffer anymore. You didn’t want to make us worry anymore. And I guess, that’s the reason why you left us so soon. As we let you go, we would like to thank you, Manong, for all the great memories. Thank you for all the love. Thank you for being so generous, always thinking about us even before thinking of yourself. We know that you will be happy playing with Chubaka, your buddy, in dog heaven. We love you. Still with a heavy heart, I know I have to let you go. I’m now letting you go. It was a Sunday in the month of July 2012 when I found out that I was pregnant. It was the best day of my life… well, apart from my wedding day. I rushed to Ej, who was sitting at the ‘kabisera’ of our dining table. I remember that day vividly. I showed him the home pregnancy test result. He said “what’s this?”, then after a few seconds, I got a tight hug. We went to my OB that Wednesday just to be sure. I had my first trans-vaginal ultrasound and the doctor confirmed that I was pregnant. I was so happy! I called my mom and dad to tell them that they were going to be grandparents and they were all shouting with glee at the other end of the line. For those who do not know, our story two years ago (May 2010) elicited a different reaction from all of us. It was February 2010 when I found out that I was pregnant. We thought everything was perfect. It was during the second ultrasound that we found out that I had a blighted ovum or an anembryonic pregnancy. This is when the fertilized egg clings to the uterine wall but does not develop further. It then needs to cleaned out of a woman’s system through D&C. I was emotionally affected, since I was really hoping to have a child, but 10 days after my D&C, I realized that this was not the end of our problems. I was in a dinner at my ninang’s house when I suddenly bled profusely. I was rushed to the ER of Medical City and was advised to stay overnight. They had me undergo another ultrasound and found out that my placenta was still there and not completely cleaned. Early that morning, I was scheduled for another D&C. The findings came out after a few days and they were surprised again to see that they placenta was still there even with 2 D&C operations. At that time, I sought and explanation from 2 obstetricians. One of them mentioned to go to Dra. Diana Sarmiento in Asian Hospital as she would be an expert in Gestational Trophoblastic diseases. This was what doctors told me I may have had. When I saw Dra. Sarmiento, she mentioned that I may have what they call Placenta Accreta. This is when the placenta deeply attaches to the uterus. In the States, the cure that they suggest and take always is an abdominal hysterectomy. Since I did not have any children yet, Dra. suggested that we try low dosages of chemotherapy until my HcG levels return to normal. I had to go to the doctor to be injected daily (one course was 5 consecutive days). I had the choice to stay at the hospital to have it through IV, but I chose injections. I had to wear a mask all the time. People had to take a bath and put alcohol before visiting me in my room. Even my husband went straight to the bathroom before he could see me, since my immune system was low. After two courses with a 3 day gap in between, I was cured. I had to rest though from strenuous physical activities and from baby-making activities for at least 1 year. I was on the pill as recommended by doctora, since I could not risk getting pregnant. It was a traumatic experience for me. I thought I was dying. I really thought so. During that 12 month duration of resting and even afterwards, I was really scared of getting pregnant. I didn’t want that to happen again. This was the year when I gathered enough courage and prepared myself physically, emotionally and spiritually. So, in July 2012, I got preggy! Yey! The minute I got pregnant, I knew that this was my priority. During the first trimester, I didn’t feel good. I had morning sickness and during my 10th week, I experienced spotting. I was working for a bank and I was actually in a Leadership Accelerated Development Program, which gave me the chance to be an AVP within a few years (probably around 5 years). It was already my third year into the program. I have been in the bank for almost 7 years and I enjoyed my job. I really enjoyed it! You can ask my husband on how he teases me that I love the bank more than him. 🙂 Everything was going well for me. I had big projects. I was producing results. But then, I decided to leave. I really thought about it long and hard. It wasn’t an easy decision. I’m the workaholic type. I love being surrounded by people and loved filling in my calendar with things to do (yes, I’m a nerd). I knew that if I finally decide to resign, this will definitely be a big change. No steady income. No benefits. No meetings. No people to talk to on a daily basis. No deadlines. No presentations. No lunch breaks. No overtime. No title. No promotions. No bosses. Nothing of all these things. It will just be me, my baby in my belly, the maid and the condo unit… and my husband when he arrives. I’ve been so used to the corporate environment, that when EJ and I made the decision that I should quit for the baby, I was constantly crying. I didn’t know why. I didn’t know if it was a sign of relief that I didn’t have to go to work (happy cry). I didn’t know if it was the over-achiever in me who was crying — scared of not earning anything and contributing anything to the household budget. Maybe it was also because I knew that I will miss my friends and this life that I had in the corporate world — fear of letting go and fear of change. But then again, I went back to priorities. My child, in this womb, was my number 1 priority. I had to let go of all stress and just concentrate on being a stay-at-home-mom. Our long term goal, too, as a couple was that I be in charge of starting a business that we can take care of in the future. EJ will be the source of the ‘steady income’ for our household. Ej encouraged me to follow my dreams. He said that I was the more ‘entrepreneurial’ one of the two of us. As to what business that is that I will build for the both of us, I still have no clue on what to do. Anyway, reflecting on what was important for us as a family was what made me decide. I took the big leap out from that world. How has it been so far? Let me start by saying God is so good. Early 2012, I started helping people conduct their own workshops and seminars. I was sort of the logistics and the implementer. I enjoy these things since I get to help other people achieve their dreams of being an entrepreneur — since most of the workshops were skills on professions or businesses that they can do. The brand that I created was Manila Workshops. I then realized that I enjoyed helping people achieve both their personal and professional goals in life. I resigned in October 2012 and in the two months that I have been ‘mostly’ at home, I have built my network and I have shared this passion I have with others. With this, my 2013 calendar is almost full, thus, requiring me to even think of hiring an intern for the month I will be indisposed due to my pregnancy. I have built partnerships with people and I have seen people happy and grateful for giving them the opportunity to learn. I am excited for 2013! Now, all that doubt of leaving the life I was contented with is gone. I now have something to strive for and to work on (as a work-at-home-mom), and what makes me happy is that I get to help others in this journey.